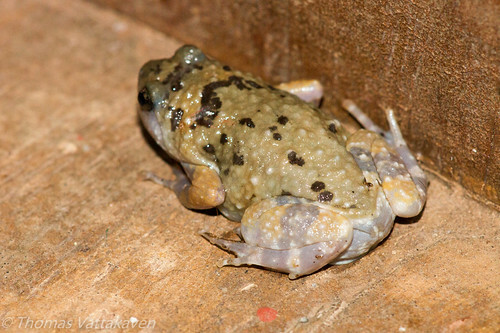 The frogs of the genus Ramanella are distinctive in that they have discs on the fingers of their front legs but lack them on the toes of the hind legs. The Marbled Ramanella (Ramanella mormorata) is distinguished by its blunt snout with a distinctive “V” shaped marking. The dorsum or the upper body is distinctively warty. The fingers of the front feet have wide triangular discs, which are lacking in the hind toes. 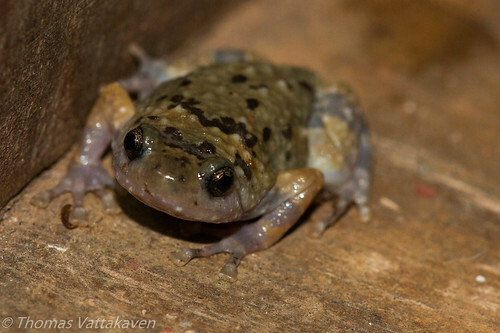 It is a small frog and reaches and average size of about 3.5 Cms in length. 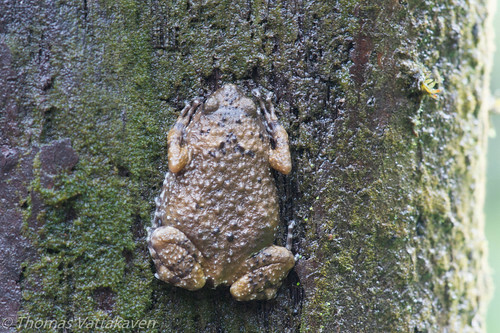 They occur in moist places on land and can often be seen on trees, in holes or cavities as seen in the image below. 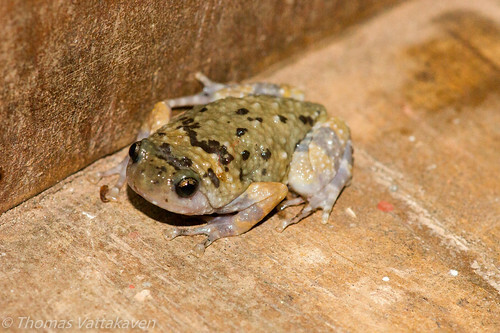 During the Monsoon, they can also be seen in pools and puddles or termite mounds. This species is endemic to the Western Ghats and is listed as endangered. 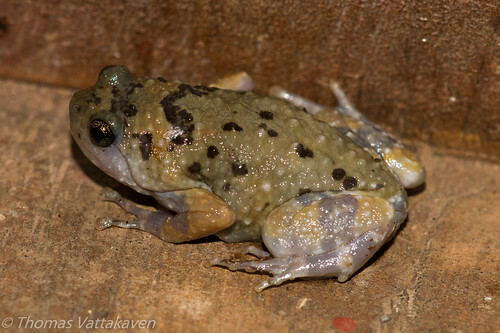 It is very similar to Ramanella montana or Jerdon's Narrow-mouthed Frog. Other Details: Firs images are of an individual that wandered onto the veranda during the rain at night. 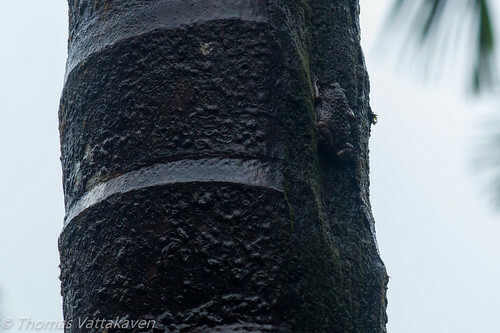 Last two images on the next day after it climbed onto an adjacent areca palm tree.